How Can Martial Arts or Tai Chi Help Me Lower My Stress? Unless you’ve been under a rock, you know that stress is very bad for a person’s physical, emotional, and mental health. In today’s society, stress can be found everywhere you go. Traffic jams, full schedules, work stress, financial struggles, relationships and so on. Reducing that stress means making changes within your life, but if those changes are not possible, learning how to better manage stress is vital! 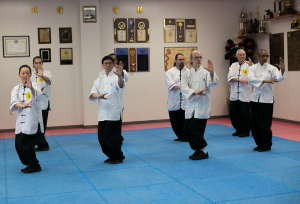 When you partake in martial arts classes or tai chi classes, you will gain many skills that will help you do just that. Manage your stress better! 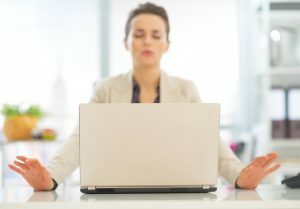 And with regular practice, you’ll perfect these skills, effectively reducing your stress level in the face of just as many external stressors. Attending regular martial arts classes can help you reduce your stress in a myriad of ways. The first and most obvious way is the immediate benefits of physical activity and exertion. Like running, walking, and other activities, when you practice martial arts your body will increase the production of endorphins. Endorphins are a feel-good neurotransmitter that ddiminishes perception of pain, relax you and give you a euphoric feeling. The next best stress relief comes from the cathartic benefits of martial arts training and sparring. Who doesn’t feel relief from punching and kicking? The idea is to leave your problems at the door and focus on improving your form, strength, and reflexes, but if you’re having trouble leaving stress at the door, those punches and kicks will certainly release some pent-up energy. Feeling a connection with other people is always a good way to lower your stress levels and your reaction to stressors. The community you will become a part of with joining a martial arts class at US Kuo Shu Academy will provide you with that moral and emotional support that only a human connection can achieve. “All work and no play…” You’ve heard the line a hundred times for a reason. If you don’t let go of the work and responsibilities and stress of life to have some fun, those stresses will overtake you. Martial arts is fun! You’ll laugh, you’ll cheer, you’ll enjoy a good time with great people. Often referred to as “moving meditation,” Tai Chi is a great way to strengthen, stretch, and improve physical balance while slowing your mind and practicing deep breathing. Tai Ji Quan (Tai Chi) is considered an internal martial art. It focuses on the use of meditative practices and full body coordination. The movements are slow and deliberate, and there is a great deal of focus on breathing. The skill of breath control is of huge benefit during everyday life when challenges present themselves and you have to stay calm and deal with them. The benefits of Tai Chi range from improved balance, strength, and coordination to better mental clarity, focus, and emotional wellness. Like meditation, the stress management benefits are the result of focusing on deep breathing, the movements, and slowing life down. With focused practice, there is no room for thinking about those external stressors. Tai Chi can be practiced by anyone as it puts minimal stress on muscles and joints with very low-impact, slow and controlled movements. Through deep breathing and meditation practices, you’re able to better control your emotional reactions to outside stress in everyday life. And the more you practice the greater the ability to manage the effects stress has on your body. If stress is affecting your health and well-being, it is time to make a change. Try adding martial arts or Tai Chi to your schedule for stress management and better overall health. Call today to schedule your first of two FREE semi-private lessons to give US Kuo Shu a try.